Good morning everyone. I'm so Happy to see the weekend here. Looking forward to finishing up my Christmas Shopping. The weather is supposed to be nearly 70 and I'm loving it. I know that most look forward to a white Christmas but this year I want warmth and sunshine for Christmas. This morning I have to share with you this adorable gift card holder. I knew the minute I saw this one I had to make it for Corbin, since I tell him he is my Little Monster. With arms opened to get the GC. I LOVE this adorable gift card holder! The embossing looks fabulous. I think I have bought almost all of this type gift card file, I just love them. 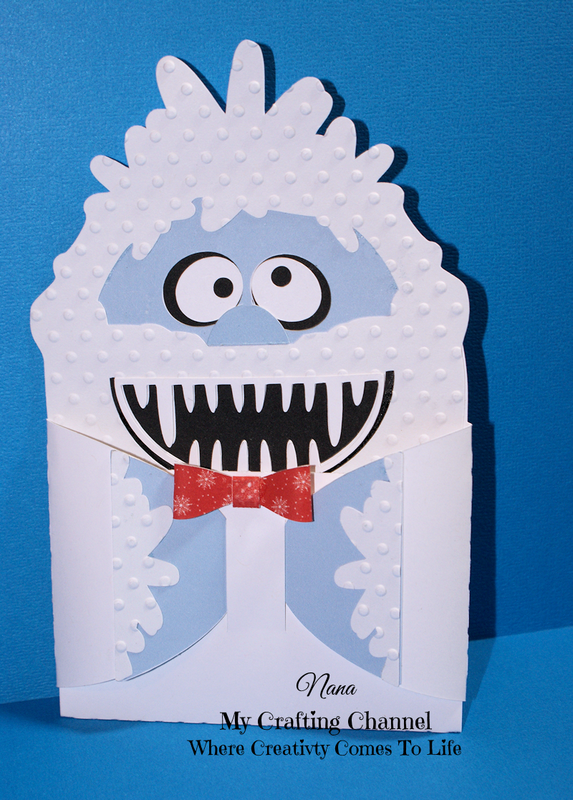 Believe it or not I still watch Rudolph every year and the Abominable Snowman is so cute.I can't wait to make mine! Aw this would make any child smile.... too cute Nana! OMGOSH! How adorably CUTE! LOVE the bow ties! So Fun and Corbin will get a kick out of this one! :) Have a Great Weekend! 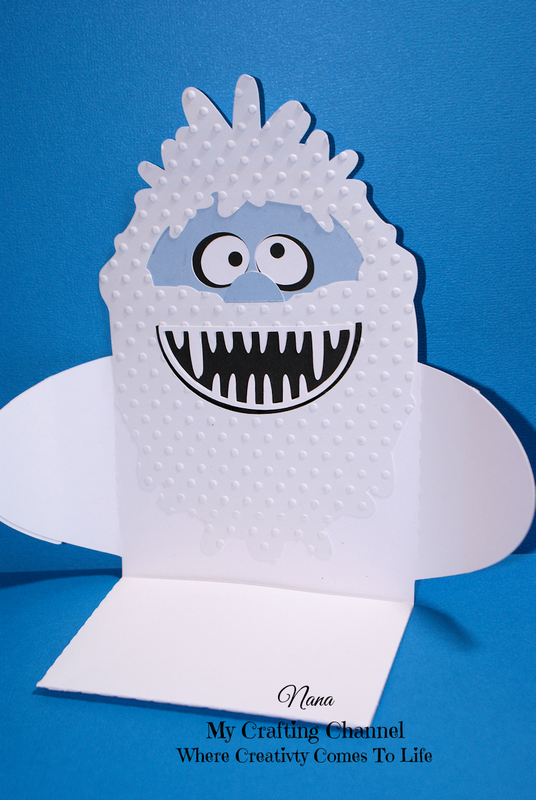 I love the Abominable Snowman! 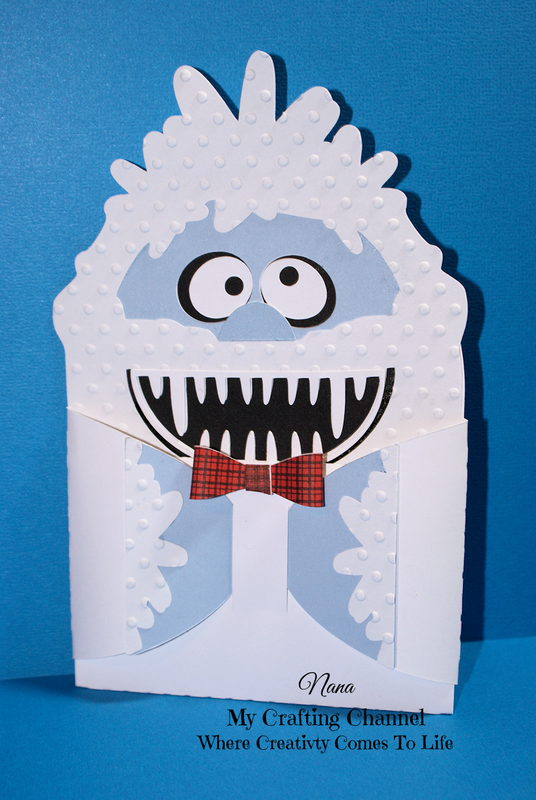 He's adorable, and makes a great gift card holder. Such a fabulous gift card holder! I absolutely love the embossing and those bow ties are so cute! This is so wonderful! I absolutely love it!! Super cute & COOL! He will love it! So cute, love the texture and the bow tie is perfect. 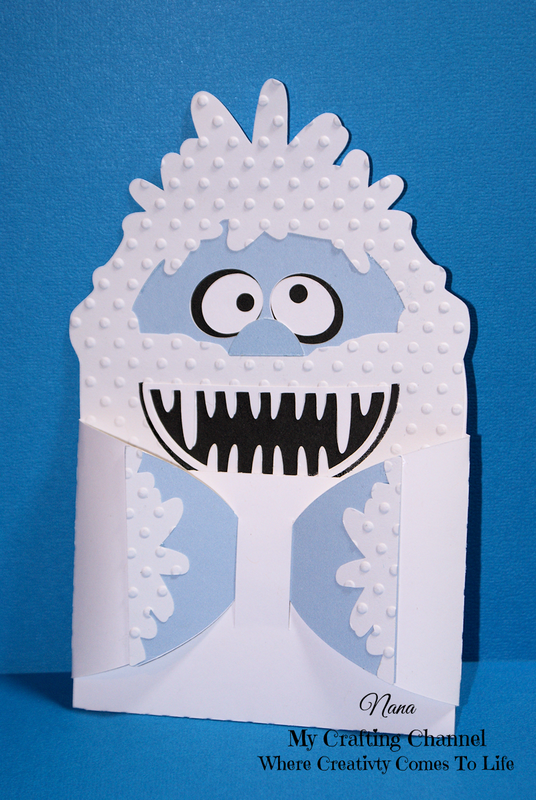 Eeeek, what a FUN gift card holder! I LOVE the tie:) Oh my gosh, Corbin will get a kick out of this! So awesome! How fun is this?! Great texture and I love the bow tie! So adorable Nana!!! Love the style card and all that embossing! Thank you for playing in our Funday Friday challenge! This is sooo cute!!! Love it!! Have a great day. Oh my goodness, this is SO cute. Love the embossing.